I took a break from my fireworks nervous dogs today to see the region’s largest U.S. Flag at Tacoma Screw, 2001 Center Street. It weighs 150 pounds and is the largest U.S. flag west of Wisconsin and north of Sacramento. The measurements are 80’x40′ and the pole is 180 feet tall, which is 90 feet above the adjacent Highway 16. In comparison, the largest U.S. flag is located in Sheboygan, Wisconsin and is 120’x60′. Tacoma Screw commissioned the flag as a way to celebrate their 70th year in business and to give back to the community. It was a little difficult to photograph and to give a sense of the sheer size of the flag. I started at Tacoma Screw and then moved up to Irving Park to capture it from above. The full summer hillside at the edge of the park didn’t provide a full view, but finally some people came by and I had my shot that showed scale (thanks people!). 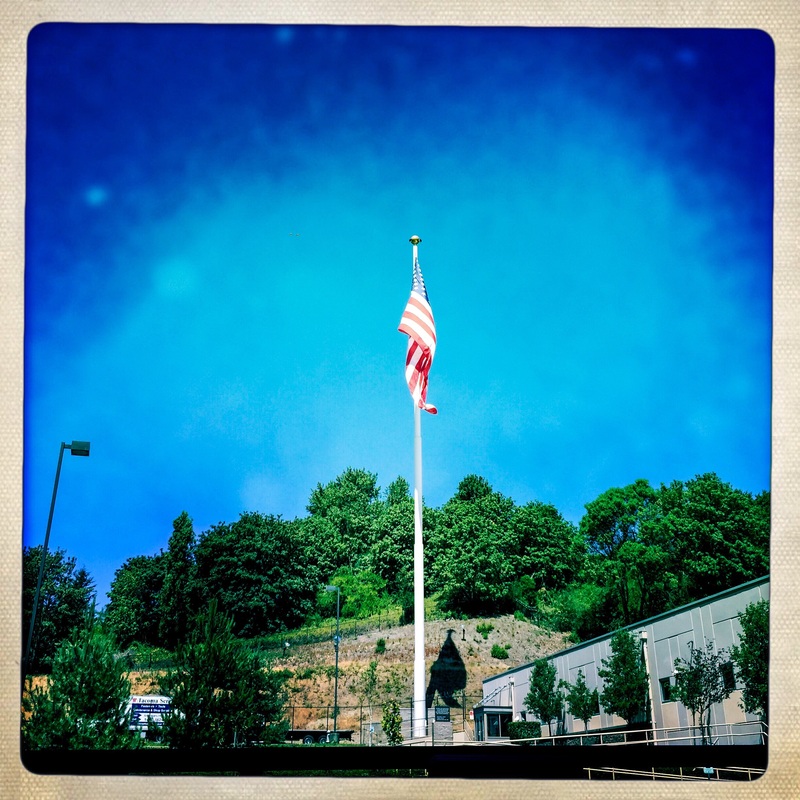 This entry was posted in Tacoma, The Holidays, WA State - Pierce County and tagged 4th of July, big, flag, flying, huge, Irving Park, large, largest, screw, Tacoma, Tacoma Screw on July 4, 2015 by admin.